Liam Harkness, DC is a very experienced Irish chiropractor who graduated from the Anglo-European College of Chiropractic in 2003 with a Bachelors in Chiropractic Sciences and a Masters in Chiropractic.He also received a Bachelors in Molecular Genetics and Cell Biology from University College Dublin in 1996. 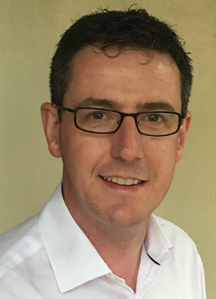 He has worked in various chiropractic clinics in the UK and currently owns his own practice in Maynooth in Ireland. His fields of interest have expanded over his 13 years of clinical practice to include Functional Neurology, Paediatric Development, Rehabilitation and Nutrition. His chiropractic techniques include Activator, Diversified, Thompson Drop and SOT and extremity adjusting. He currently lives in Warwick with his wife. Contact Birmingham Chiropractic Clinic for an appointment.